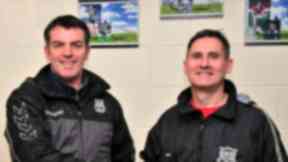 East Kilbride Thistle management team resign as the club is relegated from the Super League first division. East Kilbride Thistle’s management team have resigned after the club were sensationally relegated from the Super League first division. Manager Jimmy Kerr and assistant manager Tony Gallagher stepped down after the team failed to secure a place in the top ten. The Jags were relegated along with Dalry Thistle, Girvan and Lanark United. Hurlford United's shock win over Shotts Bon Accord on Saturday (June 2) pushed the Jags down into 11th position. Maybole Juniors and Kello Rovers will now be promoted into the Super League first division from the Ayrshire District and Glasgow Perthshire and Yoker Athletic move up from the Central District. A statement on the club’s website read: "Following Thistle's relegation from the Super League 1st Division, first team manager Jimmy Kerr and assistant manager Tony Gallagher have resigned their positions at the club. "The club would like to thank both Jimmy and Tony for their efforts during their time in charge at Showpark, in what were very difficult circumstances. "The club will now start the search for a new management team, and anyone interested in appying for the role should contact the club." 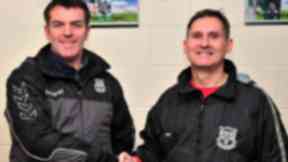 Assistant manager Tony was a part of the Jags Scottish Cup winning team at Ibrox in 1983 and returned to the club in November 2010. After a professional playing career Jimmy joined Arbroath in 1995 before moving to Thistle in 2010. 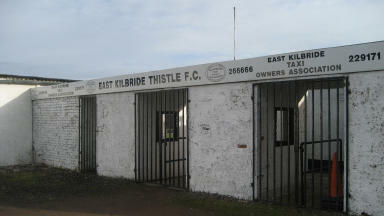 East Kilbride Thistle will now play in the Central District First Division. Darren Waugh, Thistle's general manager, said: "Obviously we are disappointed at being relegated, but the coaches and players made a huge effort to keep us in the league under very difficult circumstances. "We will now take the opportunity to rebuild things in the central first division, and hope to return the club to the Super League at the earliest possible opportunity, with the resources to compete at that level again." The club are currently petitioning to create a community club at the Showpark and are in talks with Clyde.